Angus McCullough is a multidisciplinary artist based in NY, United States. McCullough uses art as an investigative tool to explore existential and civilizational questions in a personal way. His techniques range from video works, writing, assemblage, music, performance, architecture, to occult techniques such as lucid dreaming. A recurring theme of his work is the investigation into the cultural and personal meaning and experience of “time.” He questions the implications and merits of industrialization’s standardized time, contrasting it with the experience of non-standard, aimless, subjective personal time. I focus on themes that span categories, and the notion of “time” has been a common thread in many of my projects. With all of them, I try to describe and subvert our world of insistent consumption and futurity, one whose projected reality shifts around each big new moment – the archive of all tenses at once. I want to make work that strains against and interprets the present moment, and creates its own ecology. McCullough produces an ongoing series of anthropomorphic interactive sculptures and installations, that move and produce sound, seeming to communicate with the audience. McCullough holds a BA from Wesleyan University, U.S. His work has been exhibited in numerous solo and group exhibitions in the US. Solo and duo exhibitions he took part in include,Thus Far Gone, Gallery 2C, NY, 2017; Request Line, Buoy Gallery, Kittery, ME. The most recent group exhibitions he took part in include From Away, Overnight Projects, Burlington, VT, US; Will Have Been, AA, Los Angeles, CA. On an international scale, his works have been exhibited in Austria, Downloading #vaporfolk, BV:BKV, Bregrenz; and #vaporfolk #hollyvvoodoo, The Lust Gallery, Vienna. McCullough’s curatorial projects include, Connected Through the Land, PMcC House, Bennington, VT, US, an installation which included a sound archive. The show includes publications, custom furniture, map-making, and oral history, compiled by a team of students from Skidmore College about the farm and the people who cultivated it. Another project, Viewers Like You, Judson Memorial Church, New York, NY, US, was a one-night-only group show organized by BF Bifocals, an artist group McCullough was a part of at the time. McCullough also works in architecture, having studied it as part of his undergraduate time at Wesleyan University. This experience lead to his placement in the finals in two competitions, coming in third during a competition to redesign the Bronx Grand Concourse, which subsequently culminated in an exhibition at the Bronx Museum. After graduating, he worked for three NYC firms, including MVVA landscape architects. McCullough worked as a junior designer until 2012 when he decided to leave to pursue his own creative endeavours. He still works as a free-lance designer and builder. He has received several awards in the past few years, including VT Humanities Council grant; VT Arts Council Development grant; Threshold, Official selection; VTIFF International film festival. His works have been published recently in the art book edition Mirror Mirrored by Gwarlingo Press (2018); “Will Have Been” at AA|LA, Los Angeles; Art and Cake 2/201; Things Themselves at Vernon Gardens, Contemporary Art Review LA (2016); Make Some Time for Angus McCullough, Take Magazine (2016). An extensive interview with the artist, On Home Turf: A Creative Spaces Interview with Artist Angus McCullough, appeared 2014 in Gwarlingo. An article in fine art photography magazine Lenscratch, Angus McCullough: States Project: Vermont, presents McCullough’s conceptual photography series. During Fall 2018, Angus spends 3 months in Berlin as SomoS Artist-in-Residence, developing new work to be presented in his solo exhibition Friendmaking at SomoS art space, December 12-15, 2018; opening December 11th, 6-9pm. 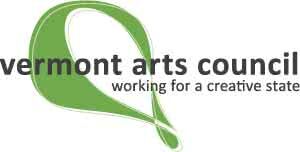 Vermont NY Arts Counsel / The National Endowment for the Arts.